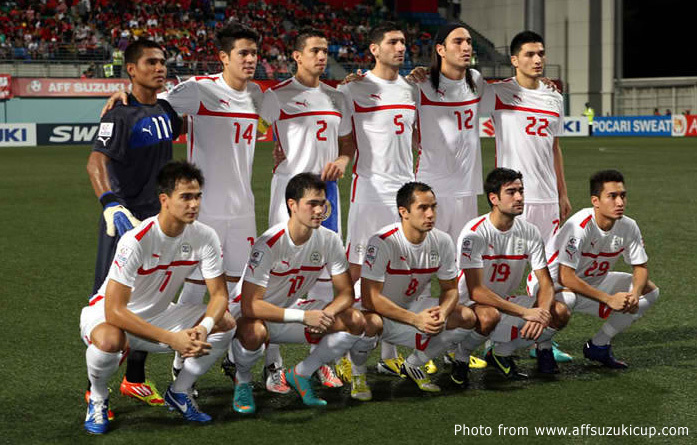 It has been interesting, to say the least, to see diverse reactions of Filipino fans to the disappointing loss to Singapore in the second leg of the AFF Suzuki Cup semi-final at the Jalan Basar Stadium last Wednesday. The loss abruptly cut short the country’s run in the tournament and rudely put an end to the dream of the final. Most were supportive; but a few were testosterone-fuelled rushes of blood. Indeed, few things in life can be more disappointing than hiking all the way up to Hillary Steppe but being forced by circumstance to turn back with the summit of Everest in sight. It was a painful loss, make no mistake about it. To lose by a solitary goal over 180 minutes of football is not an easy pill to swallow; and the sort that pesters the mind with a plethora of what-ifs for days on end afterwards. At this point, the Azkals and all of us need to take a leaf from the book of Manny Pacquiao. Not the part about Marquez, about whom all of us have had quite enough –and most certainly not Sunday’s forgettable bout in Las Vegas. Yet, among the first things that medical doctors do to ascertain that the body is functioning right is to check for pain. In many instances, numbness is a worse symptom than pain itself. Searing though the pain was for most of us when the referee blew the final whistle at the Jalan Besar, it was nonetheless the most irrefutable proof that football is, indeed, very much alive in this country. I will take the pain any day – especially when compared to the numbness one felt not too long ago whenever a Philippine team took to the pitch in an era when a loss was a foregone conclusion and gamblers wagered not on who would win but on by how many goals we would lose. Peoples around the world have for decades lived and died and measured the success or failure of each breathing moment and passing day by what their football teams achieved or failed to do so. We are all nothing if not neophytes to this world of heady successes and bitter disappointments; and Jalan Besar will be but the first of many turn-backs that we will encounter before we eventually take that first historic step atop the summit. 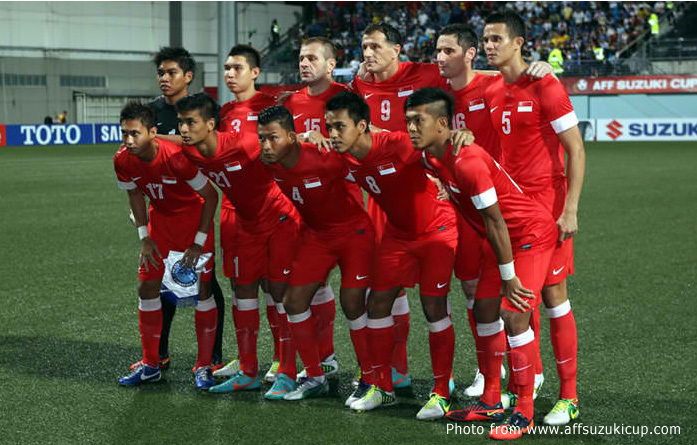 Although we had beaten Singapore in two earlier friendlies and were in our second straight AFF Suzuki Cup semi-final, it was never as though all that was expected of us was to show up for us to book our place in the final. Indeed, in football, it is seldom a straightforward progression from one to two; and teams’ fortunes can be as unpredictable as each passing day’s weather. Doubtless, the result of the following day’s semi-final second leg match in Bangkok helped to put our pain in the right perspective. Malaysia – a team that can sell out an 80,000-capacity national stadium – losing at the same stage also meant it also had to surrender the trophy that it won only for the first time in 2010. In contrast to Kuala Lumpur, the mood in Manila would have seemed even festive; and it could not have escaped anybody’s attention that ‘tiny’ Rizal Memorial was not even a sell-out for our semi-final home leg. For good measure, let us all also spare a thought for our neighbours Indonesia – another team that can sell out its own huge stadium – who made not the semis but the final all of four times and failed in each. As everyone knows, they could not even get out of the group stage this year. There is no shame in losing to Singapore, a three-time champion of the tournament; and it borders on delusion to think that we should have beaten them on the basis of the two friendlies that we won earlier this year. Dodgy, though, at times Singapore’s Suzuki Cup campaign might have been in the group stage, over the two legs of the semi-final tie, they limited us to only the briefest of glimpses at their goal and were more menacing when going forward at the other end. They deserve to be in the final. If and when Singapore claim the Suzuki Cup – and it is not beyond them whatever the pundits say about Thailand – then we will have gained bragging rights to saying that we lost by the narrowest of margins to the eventual cup winners. In other words, the loss to Singapore – seen in the right perspective – was really a terrific achievement and not at all a letdown. The one good thing about the Suzuki Cup is that it is held every two years. None of us, therefore, has to wait an eternity for the honour of watching our team have another go; and most of our players are young enough to take us all the way to the summit. If everyone is being honest, the defence apart, our team – weighed down as it was by unfamiliar expectations – did not really play anything in the tournament that made the juices flow freely. Yet, the scrappy football notwithstanding, we got ourselves into the semi-finals comfortably. At this point, the Azkals and all of us need to take a leaf from the book of Manny Pacquiao. Not the part about Marquez, about whom all of us have had quite enough – and most certainly not Sunday’s forgettable bout in Las Vegas. Rather, that part about my namesake Rustico, who once floored the people’s champ when the latter was still to embark on what would eventually turn out to be not only a successful but also a colourful career. Not that I even have to say what happened, but being down on the canvass did not stop the PacMan from one day being what else but the best boxer in the world. The simple truth is, if you do not get up, you cannot fight again. Greatness is achieved not only by winning but more by getting up quickly after being down.